Home Stretch for Book 2!!! « GIANTS BEWARE! DRAGONS BEWARE! 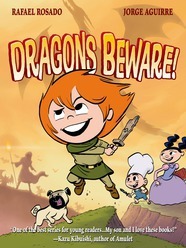 Home » Dragons Beware » Home Stretch for Book 2!!! Home Stretch for Book 2!!! 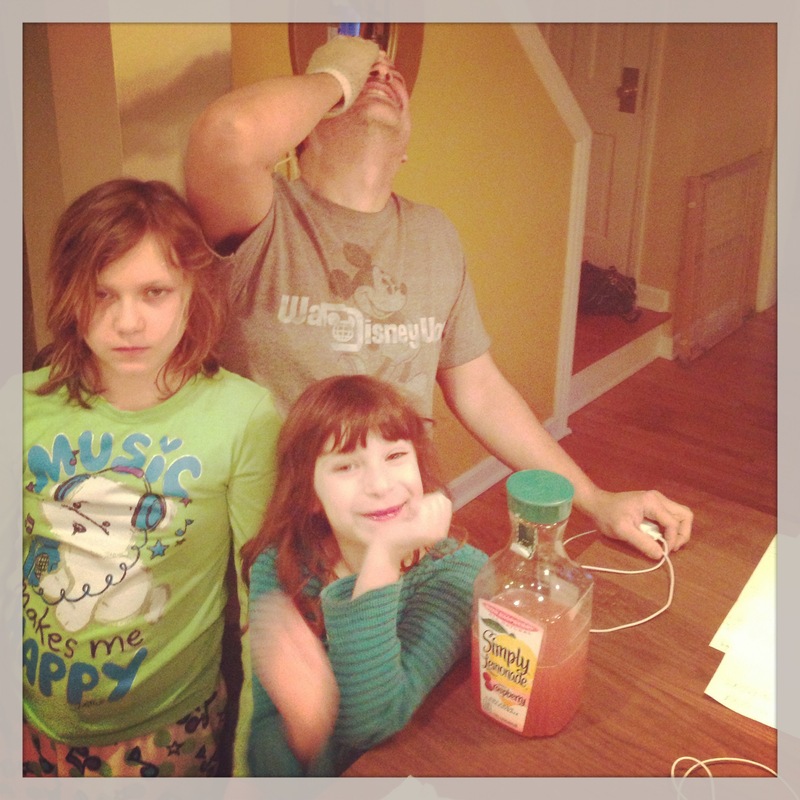 Raf gets some emotional support and lemonade from his daughters before beginning to ink the last pages of Book 2. It’s been a looong process. 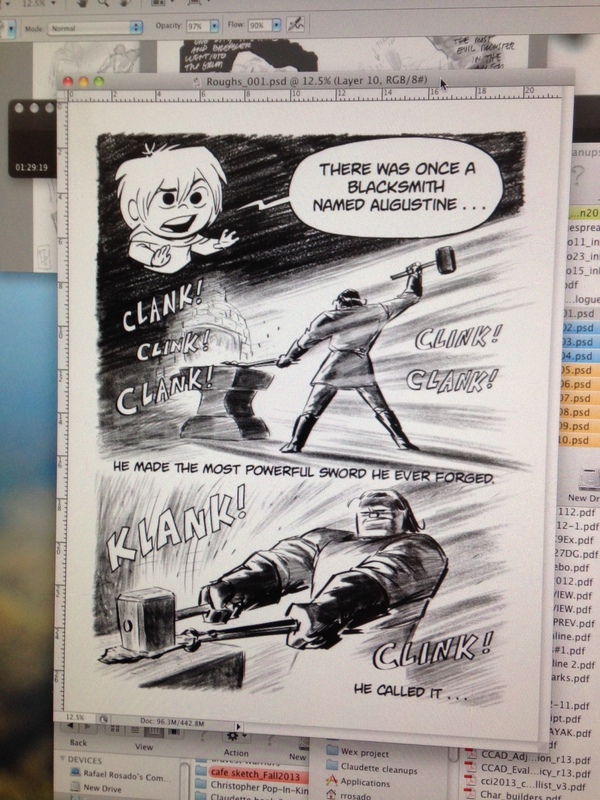 This week, Rafael finished inking Book 2. He’s been working like crazy: nights, weekends, days, in the car. 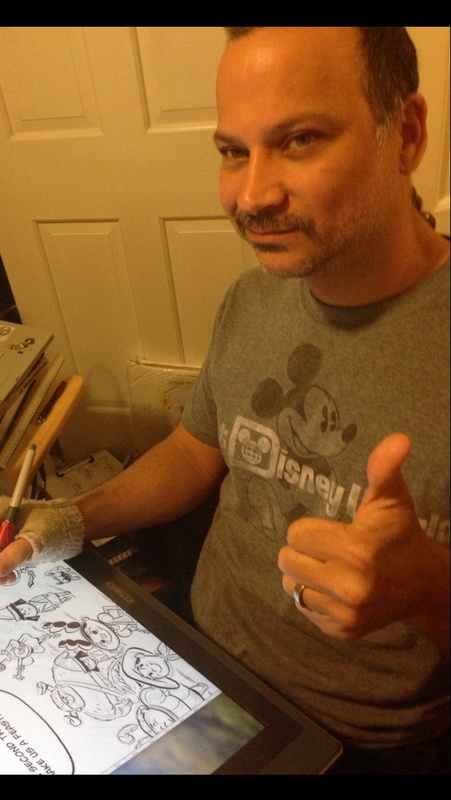 (Okay maybe not in the car, but let’s just say he hasn’t put down his Cintiq pen in very long time). Our tentative title is : CHRONICLES OF CLAUDETTE: BELLY OF THE BEAST. His family has been very patient with him (and us)! (Thanks, D&A&A!). This is the very last page that Rafael inked, which in the book, is actually the first page of the book. Woo-hoo! It’s been a lot of work, but so worth it. We can’t wait to share the new book with our readers but it will still be about awhile before it hits the shelves, probably Spring 2015. John Novak is still coloring the pages with beautiful color. I’m still working on lettering and doing a little rewriting as I go. Then the book goes to the First Second editorial and design team, and it still has to get printed and such. The good news is we’ve already begun work on Book 3, so there won’t be as much time between the next two books! Rafael starts to ink the last few pages of the book. By Jorge in Dragons Beware on February 25, 2014 .